Health care entrepreneur and activist Dr. Patrick Gentempo, teamed up with Dr. Beau Pierce, CEO of “Circle of Docs” and award-winning documentary filmmaker Jeff Hays are offering to the public FREE viewing of their immensely popular Vaccines Revealed docuseries. The series begins November 28, 2017 and will continue for 9 days, until December 7th. Register FREE online. With an award-winning film crew, they flew all over the world and got exclusive access to whistleblowers, former drug reps and university scientists. This is powerful – – If you want the latest, real information you will not want to miss this. The drug and vaccine industry is a multi-BILLION dollar enterprise… focused more on profits than human lives. It took months and months of care, attention and energy to edit each part of this stunning series. And now it’s finally ready for the world to see. 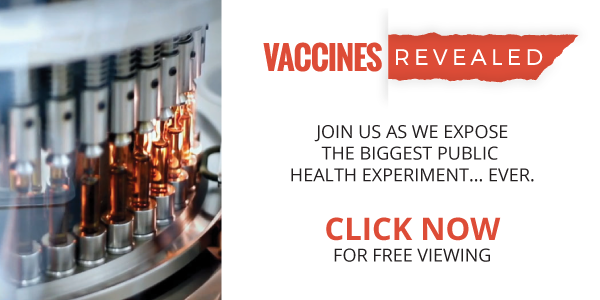 Vaccines Revealed features exclusive interviews with the world’s most acclaimed experts in research, medicine, holistic care and natural health.